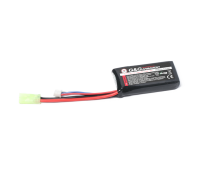 A small size 11.1v 1000mAh lipo battery designed for use in PEQ boxes or AEGs with limited batter..
A small size 7.4v 1000mAh lipo battery designed for PEQ boxes or AEGs with a limited battery spac.. 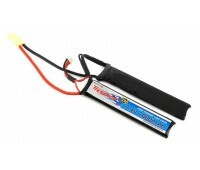 This is your standard Lipo battery. 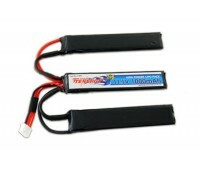 Lipo batteries are advantageous as they last longer, an.. 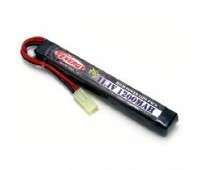 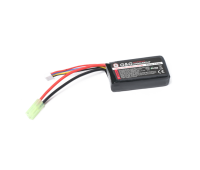 The 11.1v Lipo battery is for the most part, the most powerful battery available for airsoft guns..